When this writer first heard the name Little Man Tate he stretched his mind back a few years, thinking they were a bunch of 15-minuters from Britpop’s half-hearted death. The name... Och, it's awful. It's the name of a Jodie Foster movie. It's horribly, painfully, achingly 1998. Accordingly, Little Man Tate's signature single 'House Party At Boothy’s' wouldn’t sound amiss on a Shine compilation. It's not an awful song, but that's in the same way that 'I Predict A Riot'' isn't an awful song. It's obviously designed with an eye on the beered-up 16-year-old market (see 'Dagger, Chelsea' and Fratellis, The). And as for the line, “Talked to some kid, he couldn't be much gayer”'. Well, you make your own mind up. Opener 'Man I Hate Your Band' is either very stupid or so tongue in cheek that it could be mistaken for elephantitis of the face. It's a song about an average band, yeah? Who go and sign a deal and then fail not long after. 'Man I Hate Your Band'. Do you see? Do you SEE? There are a few moments where singer Jon Windle's Yorkshire drawl comes into its own, though. 'Court Report'' is the story of a skinhead cross-dresser's battles with the law. It's a silly concept and seeps lyrical filler (the word 'honey' should have some kind of musical tax each time it's used as punctuation – an index finger 'praps?) but a mediocre verse somehow turns into a chorus that could've been taken straight from 'Sound Affects'. But it's one of few highlights. 'This Must Be Love'' is the album's token ballad. It plods on accordingly with lines like “You were the best, you let me touch your chest and saved me twos on your cigarette.” Good grief. There's a sixth-form in Yorkshire missing its poet. 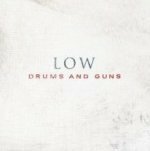 Obviously this being a band of young males from Sheffield who play guitars and Sing In An Accent it's been hard to get this far in the review without mentioning the band whose sound they mirror. (Writer consults Big Book O'21st Century Rock Clichés). Yes. 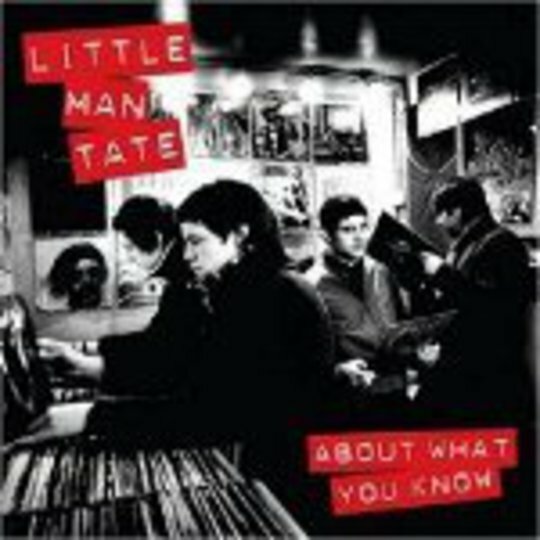 Little Man Tate sound an awful lot like Arctic Monkeys. This isn't lazy journalism. Well maybe it is, but if record companies are determined to stay 12 months behind the nation's youth and continue to sign bands that sound half like something Alex Turner spat out at breakfast and half like Cannon and Ball's Big Night Out, then what else can you say? It sounds like Kraftwerk covering Metal Machine Music'? Imagine a whole album full of 'Digsy's Dinners''. One is fine, yes, but About What You Know has nothing to say. It has its moments of fun, certainly. But so does eating McDonald's. You still end up feeling dirty and greasy afterwards. Maybe you need to be there. I was 16 and lived in a dull Northern town once. If dumb rock and roll is the closest thing to escape then fair play to Little Man Tate, as they've probably made a few lads in Bolton happy. But for now, the world doesn't need their modern toss.